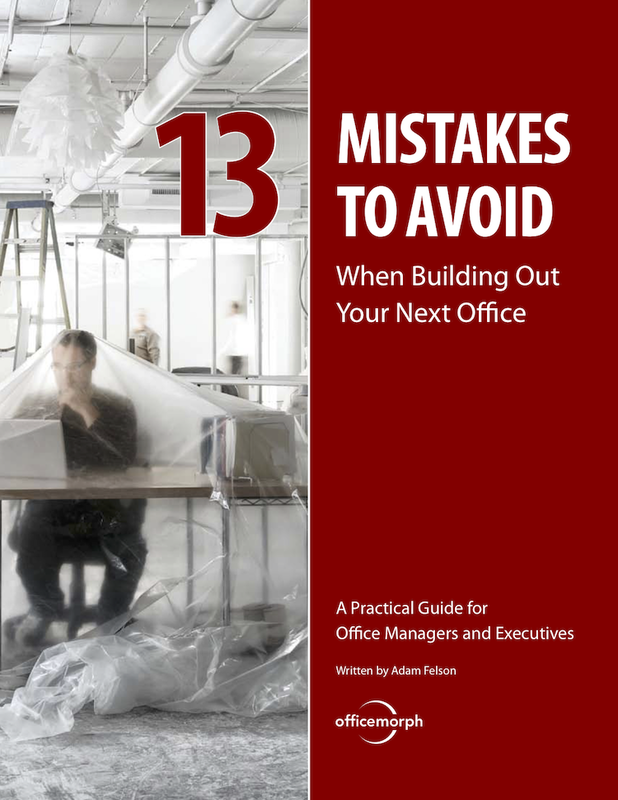 Are You Starting an Office Renovation? That’s a lot harder than moving into a new apartment. Ask anyone who ever managed one: They’ll likely say it was a nightmare. big distraction that drags your team away from your successful business operations. At officemorph, we want to help. That’s why we developed this common-sense guide to the problems we see over and over again—along with how to avoid each one. Why you must choose “TIA" over “turnkey"
This guide will help you create a new space that's a delightful place to work. You can download your copy of the guidebook by CLICKING HERE.